Germany is one of the world's leading trading nations, with exports accounting for some 45 per cent of its gross domestic product. The United States became Germany's top trading partner in 2015, overtaking France for the first time since 1961. 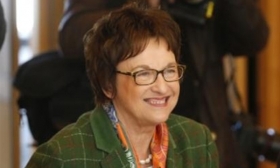 Zypries pointed out that only 10 per cent of German exports were going to the United States while 60 per cent went to other European countries. Trump signed an executive order last week withdrawing the United States from the 12-nation Trans-Pacific Partnership trade deal. He has also threatened to impose a border tax of 35 per cent on vehicles German carmakers import to the U.S. market.